just received more pairs of the Air Jordan XI retro 'Cool Grey' in US size 7.5, (2)8, 8.5, (2)9, (2)9.5, 10 for a price of $185 & 10, 10.5, 11 for $250 shipped to your door, the BEST PRICE ON THE NET!! 100% authentic in deadstock condition - DONT SLEEP!! 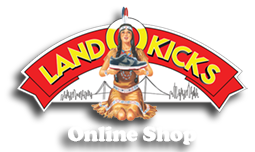 hit me at LandOKicks@hotmail.com and we'll take it from there .... thanks for looking and enjoy your day!